14 Apr 2009 @ 02:00 AM Programming (3) Jump to comments? 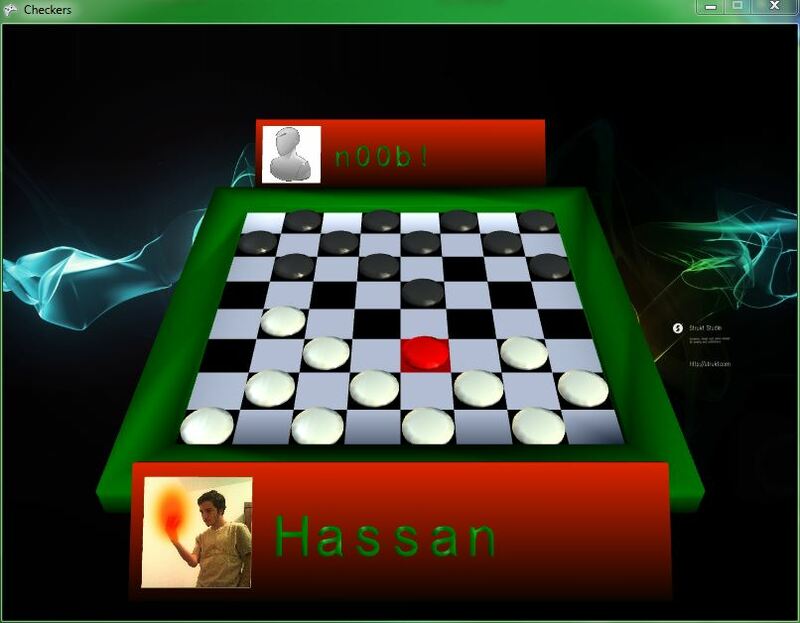 So Me and a friend called "Mohammed Nagy" teamed up to make the Checkers Game. Since Java is very similar to C# in syntax and the XNA Game Studio is much more COOLER than the Java Swing Library, I decided to copy our Checkers engine that manages the board, tiles, pieces and Game Rules and put it in a new XNA Game Project (after I took permission from Nagy). Then I drew some models for the Checkers Board and Pieces, then i used my Text3D engine that was part of the unfinished (and Canelled) "Shalalizer Game" and made an Über Cool 3D Menu with it. I used Google Translator to translate your Spanish to English and I got something like "Thanks! Now I visit this Blog everyday!"